We all have them. Some people are chronic offenders. We’re betting there’s at least one you’re thinking about right now. Unanswered emails. Those messages that you never seem to find the time for. No matter how often you snooze them or put them at the top of your to-do list, something always seems to get in the way. They might date back a week, a month, maybe even a year. Sometimes they never get answered at all. Listen, we get it. You’re busy. But being consistently late with your email replies, or simply never replying at all, is a recipe for disaster. Bad habits die hard—and sooner or later you’re going to offend the wrong person. It could be a client, a customer, your boss, or even your eternally tolerant yoga teacher—after all, even the most patient of people will only stand being ignored for so long. But what to do when you’ve got a growing list of unanswered emails? Well, you could either let them gather digital dust sitting in your inbox, compounding the issue and frustrating your contacts, or you could swallow your pride and apologize for the delay. There’s no need to make a big fuss, just tell the truth (or a carefully curated version of the truth) and own that email apology like you would the rest of your emails. Here, we take a look at some of the easiest and most common ways to say sorry through email. Everyone needs to take a break from the office once in a while, and no one is going to begrudge you a little time off. The simplest and easiest way to write a professional apology email then, is to inform your contacts you were not in the office upon receipt. However, there’s also a proactive element to this one, and creating automatic out-of-office replies to inform anyone who’s trying to contact you while you’re away is the best way to minimize frustration. Another thing to remember is that this type of email can only be used for short spaces of dead air time. It’s no use telling a prospective client you were out of the office a year after you’ve received the initial email—unless you have a VERY good excuse. It doesn’t matter how much you know or how efficiently you can Google something you don’t, there will always be occasions when the information you need to send an effective reply is simply not available. If this is the case, and you reply in a shortish space of time, your apology email can simply state you were looking for the relevant documents or files. This type of contrition is particularly useful when writing apology emails to customers, since replying with inadequate or insufficient information is often more frustrating than no reply at all! Of course, this would never happen to Spike users. Our approach to email filtering puts any mail considered less important in your “Other” inbox—meaning you’ll see everything at-a-glance and you can decide on whether any particular mail warrants a reply. However, for anyone using traditional email clients, the potential for important email to end up in the wrong folder is still very real. 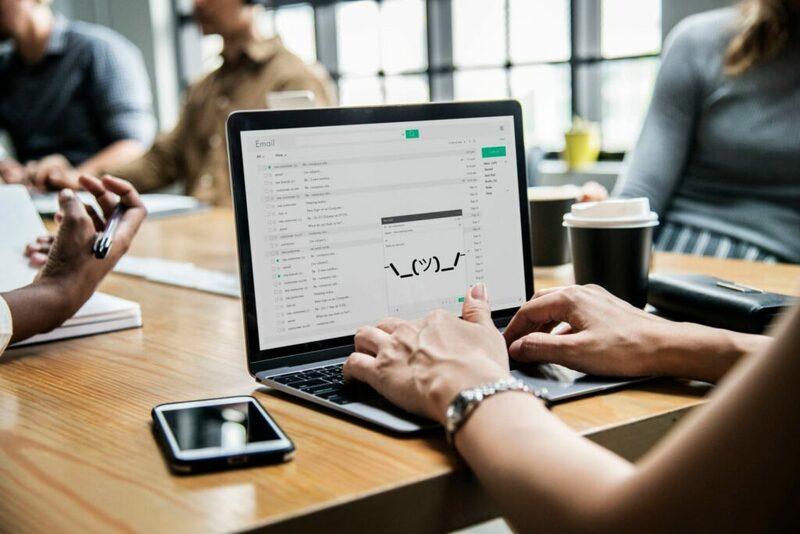 Spam filtering has definitely helped stem the tide of crap we receive in our inboxes every day, but it can also weed out the wrong emails and send them to a long-forgotten folder in your email app—particularly when it comes to new clients or contacts. Most people understand the pain when it comes to the issue of spam, so they’re going to be receptive to your sincere email apology—just remember not to use this one too often, otherwise it simply makes you look incompetent at email management! We all have lives outside work. Don’t we? Well, when your circumstances change significantly, it’s perfectly understandable to let a few emails slip through the net. This type of email apology might even bring a little happiness to your contacts, so fire away and let everyone know you’re going to be sailing the seven seas as a ship’s cook—or whatever. Of course, the amount of information you share will very much depend on the type of contact, but just remember to apologize sincerely and then share however much or little of the good news as you see fit. Some people think we should stop apologizing for late replies entirely. After all, what’s a few days between friends/colleagues/hard-won clients? Well, you’ll have to judge each of those by their own merits and decide on exactly who warrants one and who doesn’t. Apology emails to the boss, for instance, are likely to be more important than to your colleague organizing post-work drinks. However, there’s always one contact in your list who just can’t help sending email after email, constantly clogging up your inbox. Well, we suggest you just wait until they’ve finally finished their thought (in 5 or 10 emails over 3 or 4 days) and then compose a single reply. No apology needed! For those emails that have really been left to rot, then all is not lost. There’s a growing movement to make April 30th “email debt forgiveness” day—letting you deal with all those long-lost emails that you’ve been too scared to reply to until now! So forget the guilt and get replying. People will have no choice but to forgive your tardiness!